Microsoft is facing more legal trouble over its handling of Windows 10 upgrades. Microsoft is facing two more lawsuits over the company’s questionable Windows 10 upgrade tactics. Both suits are seeking class-action status. The first suit was filed in U.S. District Court in Florida. It alleges that Microsoft’s Windows 10 upgrade prompts “violated laws governing unsolicited electronic advertisements,” as reported by The Seattle Times. The suit also says Microsoft’s tactics are against the Federal Trade Commission’s rules on deceptive and unfair practices. The second suit was filed in June in Haifa, Israel alleging that Microsoft installed Windows 10 on users’ computers without consent. Microsoft already paid out a $10,000 award in a previous U.S. suit over similar circumstances. The story behind the story: That’s quite a disingenuous statement considering that Microsoft violated the known behavior of the Windows interface to essentially trick people into upgrading. For a time, clicking the “X” in the upper right corner of the Windows 10 upgrade prompt window was interpreted as consent to upgrade to the new operating system. The typical expectation for all users is that clicking the “X” ends the program, and in fact, doing so was the only way to reject the free upgrade offer for most of the pop-ups notification’s existence. The same prompt could upgrade your system to Windows 10 without explicit consent if you left you computer on for an extended period, as well. PCWorld received hundreds of reader complaints about “forced” Windows 10 after Microsoft began using those tactics. Although Microsoft used aggressive upgrade tactics for several months, more recent upgrade offers have been significantly dialed back. In late June Microsoft revamped the upgrade pop-up that offers Windows 7 and 8.1 users a free bump to Windows 10. 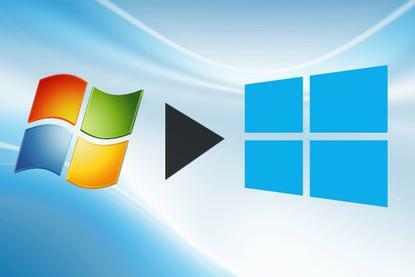 The expected behavior of the “X” returned, and Microsoft offered clearer options to stop receiving the free upgrade offer altogether. Microsoft’s free upgrade period for Windows 10 closes on Friday.